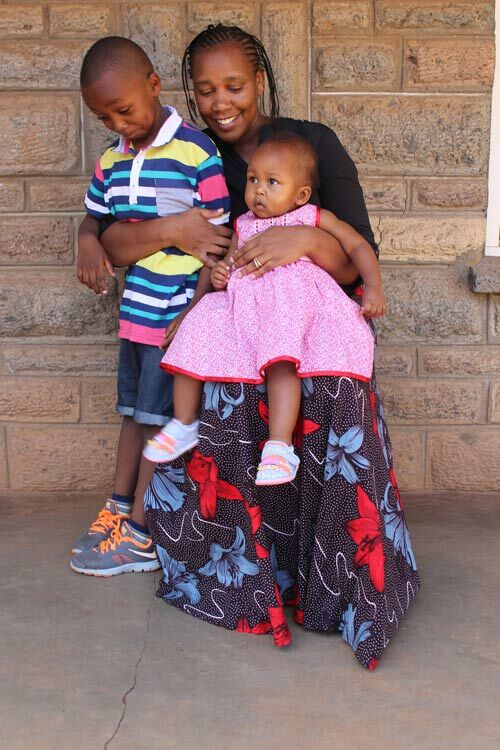 A few weeks ago, I wrote the story of Betty Achieng, a mom of two who quit her job to become a stay-at-home mom. 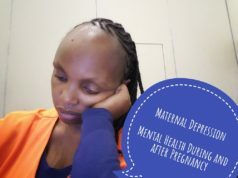 The story received quite some reactions, with many moms saying that even though they too would be glad to stay home and raise their children, prevailing circumstances just don’t allow them to. Indeed, the role of a mother during a child’s formative years is unmatched, and I believe we all recognize this, no matter the situation you find yourself in. You can catch up with Betty’s story here in case you missed it. 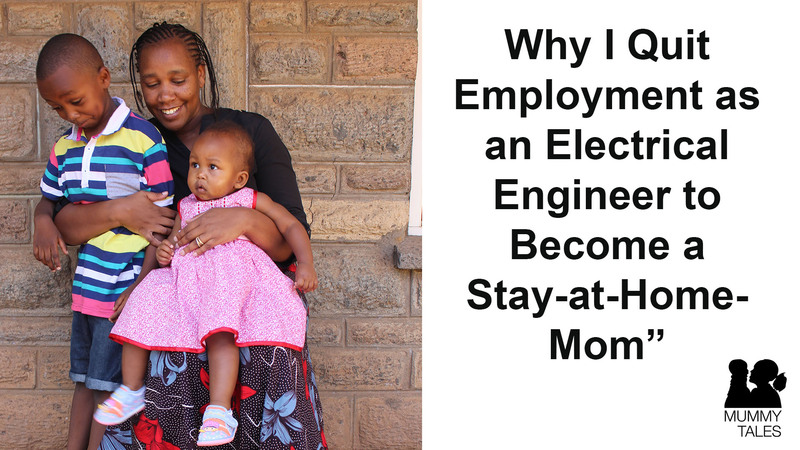 Well, today I bring you the story of 35-year-old DIANA KETTER, an Electrical Engineer with over ten years’ experience in the building industry. She has been married for 7 years and is a mother of two. Diana also quit her job to become a Stay-at-Home Mom (SAHM). On this blog, I share our different experiences as women and as moms, hoping that you can learn something new, or draw some inspiration from the stories shared. This is Diana’s story. Maryanne: What made you decide to become a Stay-at-Home mom? 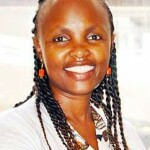 Diana: I resigned from my job after I had my second born. This was after I realized I needed to be more active in my children’s lives as they grew. I felt that God has given me the responsibility to raise my children and be more present in their lives, as this will help in positively impacting their character. I felt that being a stay-at-home-mom was how I could best do this. Maryanne: Did you consult with your husband before you made the decision? Diana: Yes, I did have to ask my husband. But even before asking him, I prayed about. When I told him, it came as shocker and he requested for time. I must say that something that was clear to me from the beginning was that if my resolve to be a stay-at-home-mom was going to work, then my husband had to be involved and that he had to make the decision on his own. Maryanne: Did you have a financial plan? Diana: Yes, because being a stay-at-home-mom called for humility on my side as it would involve a lifestyle change. Also, my husband’s biggest concern was our finances and how that would change things. So I had some ideas. During the discussions with him, some of the financial proposals I shared included us moving closer to his work place. Doing so meant that the school fees would come to almost half of what we were paying. The rent at the new neighborhood would also be half of what we were paying. In addition, there was a market nearby, so the cost of groceries would also be way cheaper. Basically, his salary would be enough. These are some of the proposals that helped in him agree with my decision to be a stay-at-home-mom. 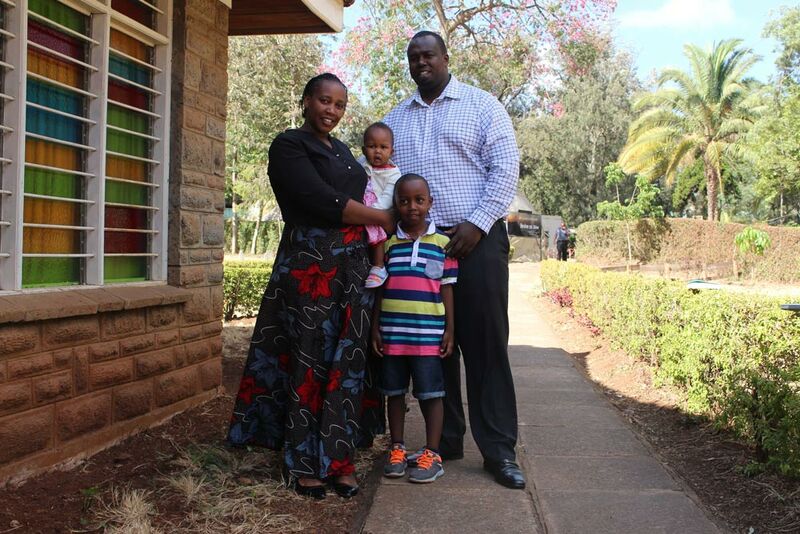 To date, we have never lacked as his salary is able to cater for our financial needs and our children are happy. And something interesting is how God affirms our decisions. His friend once told him how rare it is to see a woman give up their career to raise a family. And that evening he came and told me ‘Thank you’. Maryanne: Moms who would like to stay at home to raise their children worry a lot about being financially dependent on their husbands. What has been your experience? Diana: Yes, the fear of depending on him fully was there. So, when we were doing the budget (together), we allocated some money for my personal use. However, I also tried out several things for personal cash flow. I tried making mandazi but I realized I’m not good with sales. My next business idea was making mats, but I never got around to doing that. I’m grateful I have an old friend (in the Engineering field) who gives me design jobs that I can easily do from my house. I’m grateful for the small contracts which I do from home. In life we always have something in our hands (using the biblical analogy of when God asked Moses what it was that he had in his hands). I would advise women who are thinking about the decision to find something that they are passionate about that will not impede on the whole idea of being stay-at-home-mom and build on it as the children grow. I also always encourage people not to adore money and make it bigger than God. 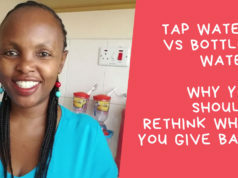 Maryanne: What have you seen as some of the benefits of you staying at home to raise your children? Diana: As a stay-at-home-mom, I’m now able to pick my son from school and we do homework together. I also have time to train him to take up some chores, and I also talk to him about why he should not watch some TV shows. My first born is energetic and emotional, very few people understand him. I also didn’t understand him, and I struggled with disciplining him because being a working mum I didn’t have time (I used to leave home early and return late) and he would take things personally. I was that mum whose son would pull tantrums in public places and I didn’t know what to do. Now that I’m at home, I’ve come to understand him better. I have also noticed how much he enjoys my presence. I have learnt to meet his emotional needs and to discipline him appropriately. I occasionally get comments that his behaviour has really improved. I also know that we are still work in progress because there was a gap of 5 years. Some of the joys of being a stay-at-home mom are the stories my son excitedly narrates to me after school, the endless hugs I get from both children and the ‘I-love-you’s’ I don’t how many times a day, the songs we get to sing together and dance to (my daughter is just 10 months but loves music). I’m really enjoying observing my daughter’s milestones which I can’t remember with my son (sad). Other things that I’m loving is getting to cook for my family (and they love my food especially my husband). Maryanne: How did your family members react to your decision to leave work to raise your children? Diana: Before resigning I called my mum to inform her of my decision. She asked my reasons for doing so and after I explained, she understood and gave me her blessings. It’s not an easy place because you understand where they come from, they schooled you for a purpose and you almost feel that the old saying “you shouldn’t educate a girl” would make sense to them. My elder sister has always been very supportive –she herself is a stay-at-home-mom in Australia. One thing that motivates me is the encouragement I get from the women engineering forums I’m in. I particularly remember the story shared by a fellow woman engineer who also quit employment to raise her children until one day they told her it was time to return to the workforce. She picked up from where she left and is now back fully in the field. And that’s my desire to grow in my career and this is not only for myself but to honour my parents. Maryanne: How about the reactions from friends? Diana: To many, it might seem like a failure having left work to raise my family, but one of the greatest lessons I have learned is that of being content with your decision. Few friends understand and will encourage you, while others have reasons why you shouldn’t, but the most important thing is to understand yourself and the reasons for doing so. Indeed, the pressure will always be there but do not let it define you. One of the challenges of being in a male-dominated industry is that you must work extra hard to prove yourself. And it’s not that women are not good enough, but the prejudice that is out there is real. Something I learnt in the industry is not to wrestle with male ego, but your work will speak for you. And that’s the same thing about people’s opinions; how you have raised your children will speak for itself. Maryanne: As a mom, do you find time to take a break? 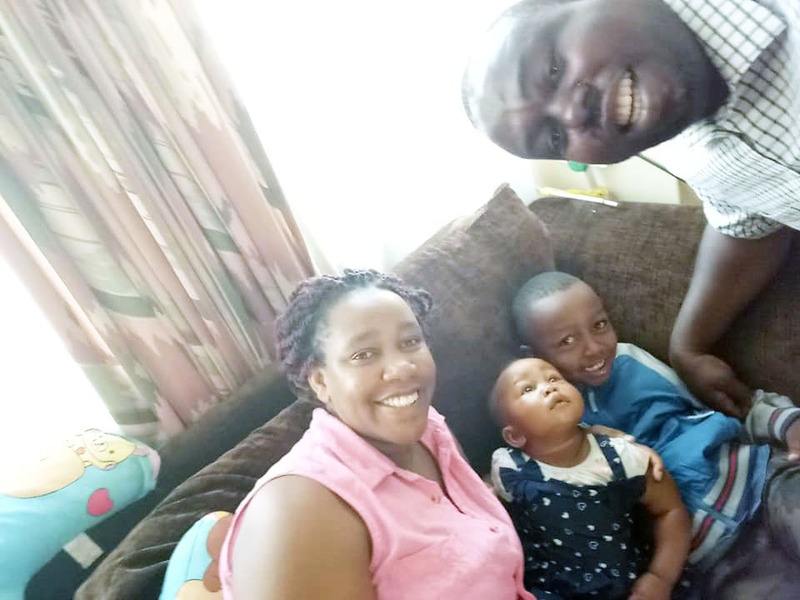 Diana: One of the challenges of being a stay-at-home mom is that sometimes you just need a break, otherwise it will surge into something else. So for me I take occasional long walks and I have found that they help me cope well. The other thing is you can easily get unfit (something I am trying to find a way around). And the last is getting comfortable and locked out. I’m yet to get there my only social time is in church but it’s something to watch out for. Thank you Diana for sharing your story. If you’re a stay-at-home-mom just like Diana, and would also you like to share your story, you can email me on maryanne@mummytales.com If you found this story helpful or inspirational, share it with your friends too.